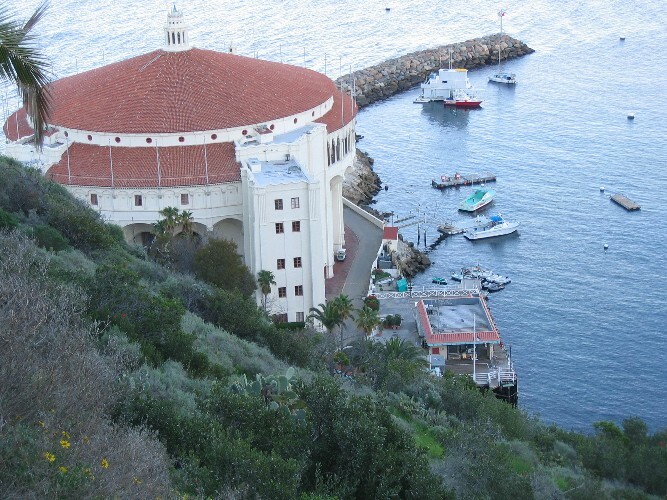 Dreams of kelp forests, friendly orange fish and scenic islands lead us to Catalina Island, where apparently dreams can come true! A top to bottom report from a first timer's perspective. Jet Blue brought us to Long Beach Airport in about 6 hours, where we picked up our rental car and headed off to catch the Catalina Express. Let me say that LGB is one of the easiest airports we’ve ever been through. Plane to bags to rental car in 20 minutes—no shuttles and no waiting. 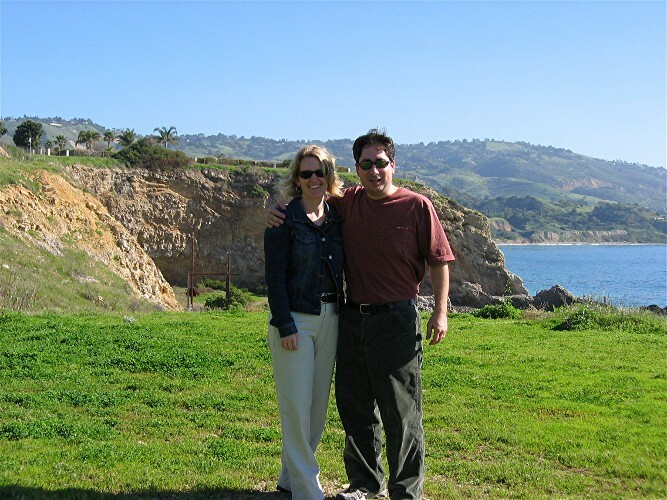 If LGB is the same price as LAX for your trip, then you should consider it. 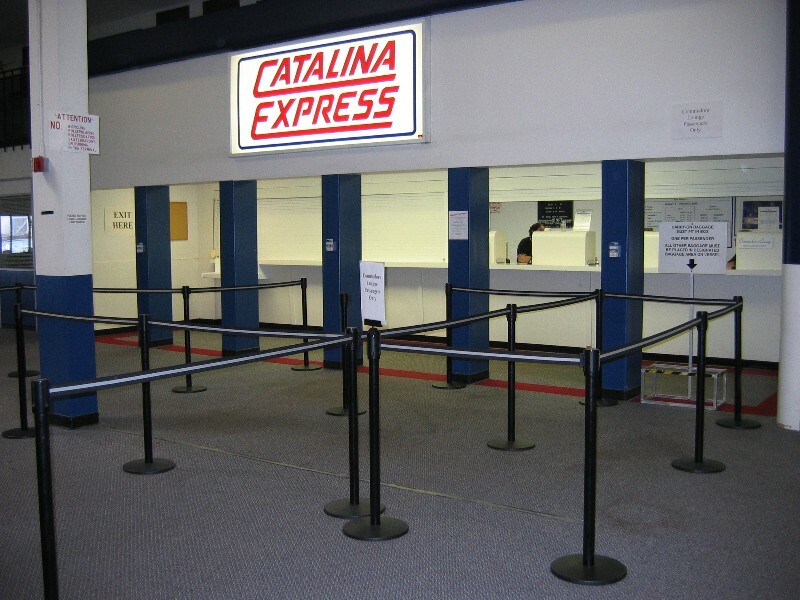 A 15-20 minute drive will bring you to Catalina Express’ San Pedro terminal. Their Long Beach terminal is a bit closer, but was closed due heavy silting after weeks of storms and the resulting mudslides and run-off. The cost is $49 roundtrip per person and takes just a little over an hour. Parking at the San Pedro terminal was $11 per day (cash or traveler’s checks only). Reservations are suggested as weekend boats can get crowded, although the boat we took on a Friday morning (in the winter) had several empty seats. 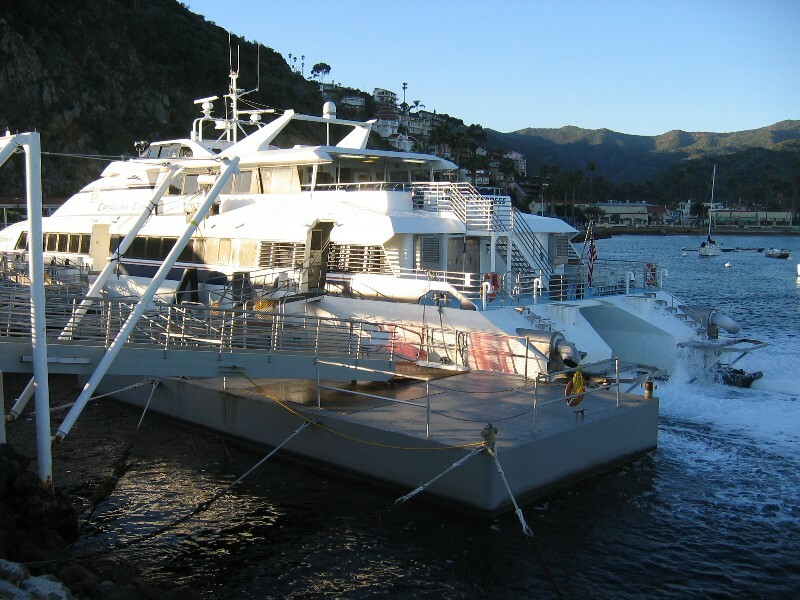 Make sure to visit http://www.catalinaexpress.com/ for detailed policies regarding scuba gear and luggage. Boarding begins 20 minutes before departure time. Snacks and beverages can be purchased at the terminal and on board. By the way, dive bags are transported outside on the aft deck, so if it’s raining, make sure your drysuit undies aren’t in your dive bag or they won’t be dry anymore…oops! Upon arrival in Avalon you can get a taxi, but we didn’t see any and most people started walking, so we did, too. A scenic 10-minute walk along the pedestrian-only walkway brought us to our hotel. Avalon is much smaller than it looks in photos. The above title is their actual slogan. 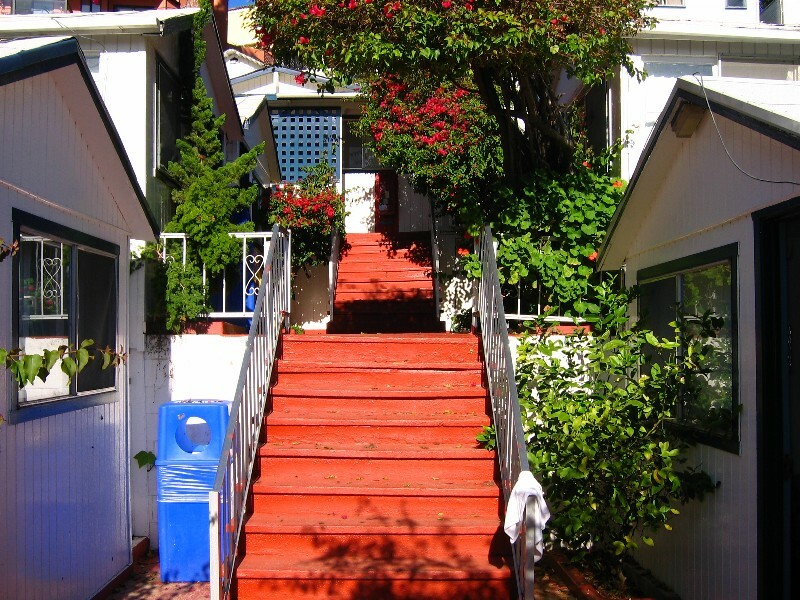 Let me start off by saying that the Hermosa Hotel is the cheapest hotel on a generally expensive Catalina Island and this was a budget minded trip because we had just booked a week long trip to Coz for April. I’m not one for bashing for no good reason, so I’ll get it out of the way first. Given it’s exceptional price, the Hermosa only had one major flaw: no heat in January=a frigid, damp room that chills you to the bone. We only want a few basic features in a room, regardless of price and those include warm and dry. The carpet, walls, ceiling and bedding ranged from damp to soaked. This caused us and all our belongings to feel the exact same way. So, would we stay there again? In the summer? Absolutely! The rooms are small, but charming in an old cottage sort of way. 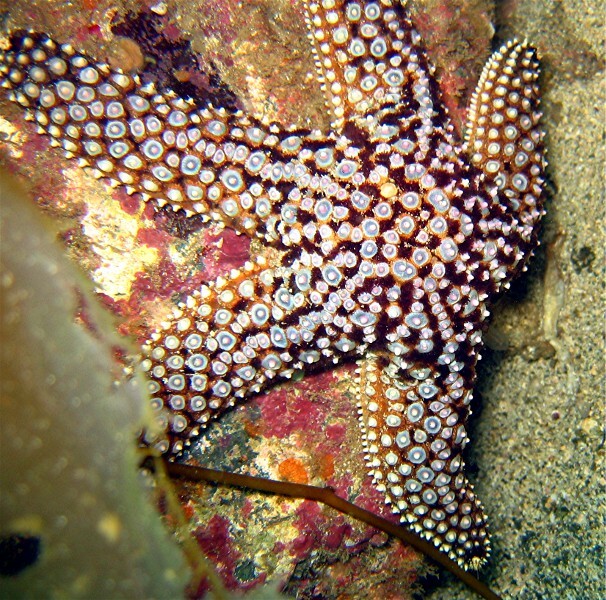 The location is close to everything; a 10-minute walk with your gear brings you to the Casino Point dive park. Right down the block from our Hotel was Von’s grocery store. There we picked up some fruit for snacks and beverages. They had a pretty large selection and everything was good and fresh. If you like ice cream, then make sure to try Olaf’s, right on the waterfront. Jason is rarely speechless, but his waffle cone sundae kept him busy for at least 20 minutes! Our favorite restaurant that we tried on this trip was Antonio’s Pizzeria, which is coincidentally right next to Olaf’s. This is one of those places that encourage you to throw peanut shells on the floor. Crunch, crunch, crunch! For some reason we didn’t order a pizza (and regretted it when we saw them go by to other tables), but what we did order (Jason a steak and Becky the chicken pot pie) was tasty and filling. Be sure to order the sourdough garlic cheese bread—it’s to die for!! We actually didn’t order it as an appetizer, but saw it go by and ordered one to take with us back to the Hotel. (A person needs a good snack while rinsing and packing all that d%$ gear!). A new hobby of ours is geocaching and Avalon has about 6 or 7 caches located within the city limits. 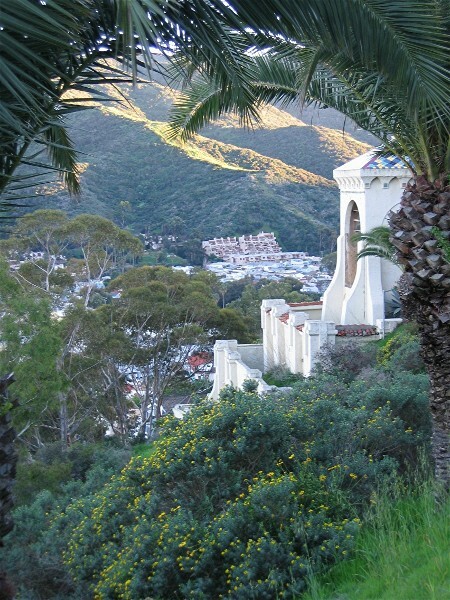 Our favorite cache to date, Avalon View led us on a hike into the hills above Avalon Bay. 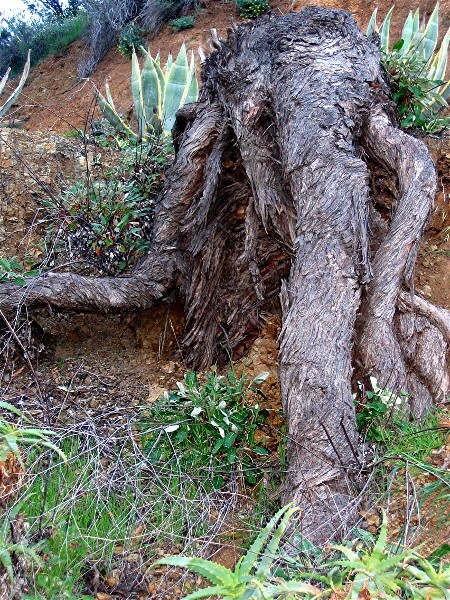 Geocaching can be described as a world wide hunt for hidden goodies found with the help of clues and a GPS unit. Click the link if you are interested. Put in your zip code and don't be surprised if several caches can be found in your hood! 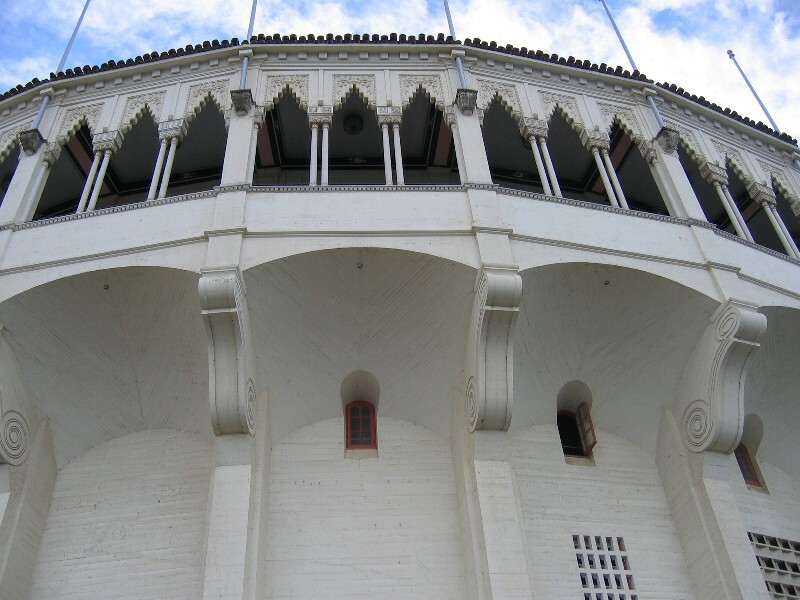 If you have the time, take in a movie at the Casino (not like in Vegas, but the huge round building featured in our photos that houses a gargantuan early 20th century theatre and a ballroom). They also offer tours, but we didn’t have time to take one on this trip. 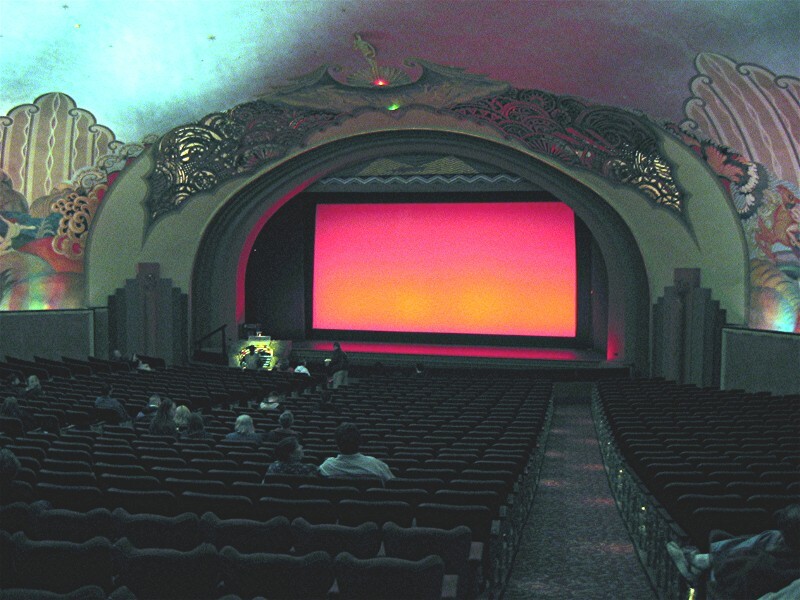 Make sure to arrive early so you can listen to and watch the live pipe organist before the movie starts; a truly charming experience! The movie was The Aviator, in which Catalina is mentioned in one scene and was used for filming another scene. 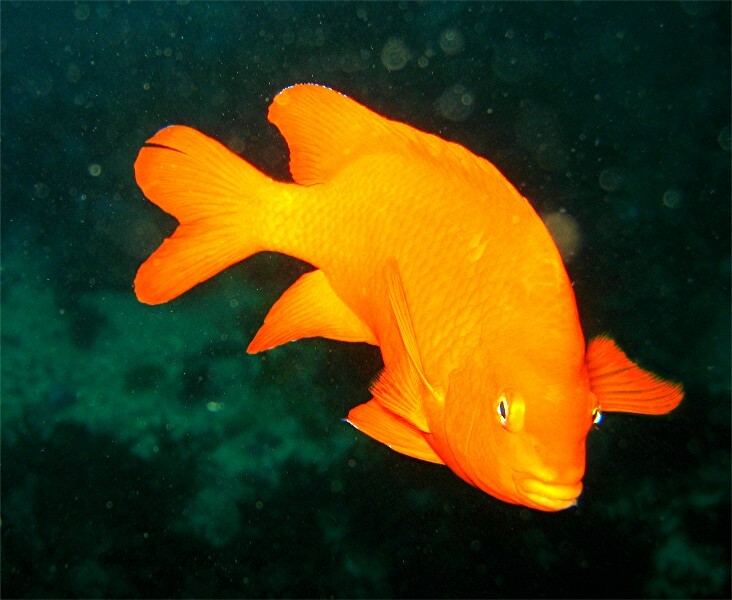 The Catalina websites above offer more information for other topside activities that will occupy non-divers and divers alike. Some include fishing, hiking, biking, camping, and a whole mess of island tours that lookreally cool. Diving the Casino Dive Park!!! 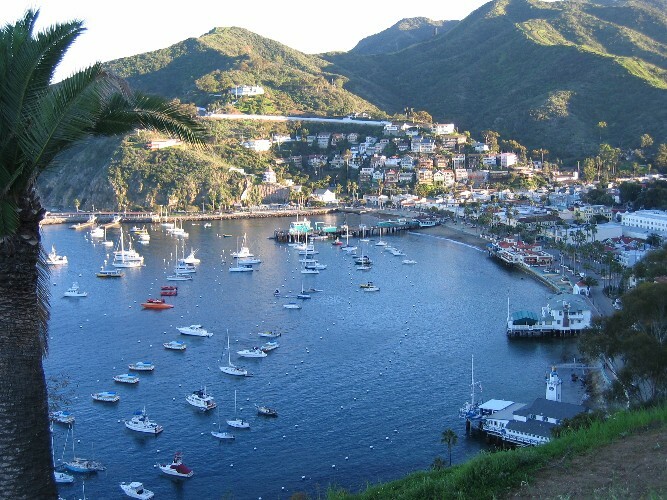 There are plenty of boats that go out of Catalina, but we chose to dive in this protected and roped off marine park which couldn’t have been much easier. Just suit up and head down the steps into the water. 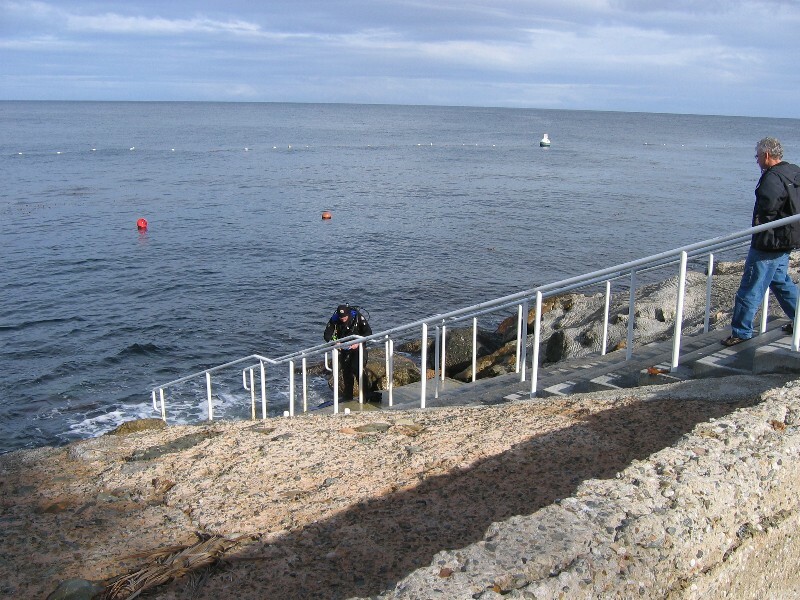 Make sure to take a minute to watch other divers enter and exit the water as the tide, surge, surf, and some invisible rocks at the bottom of the steps may come into play, especially if conditions aren't calm. 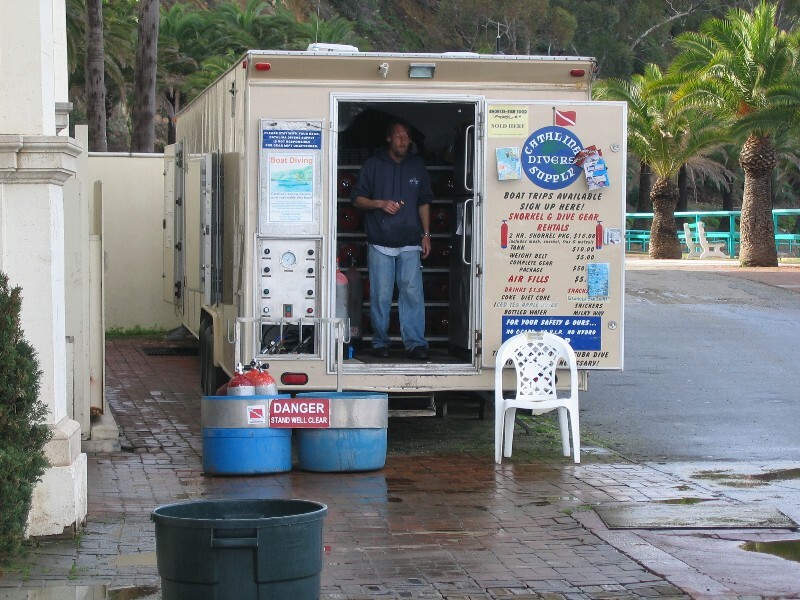 Catalina Divers’ Supply has an air station right at the Casino that is open most days during the in-season and weekends during the off season. 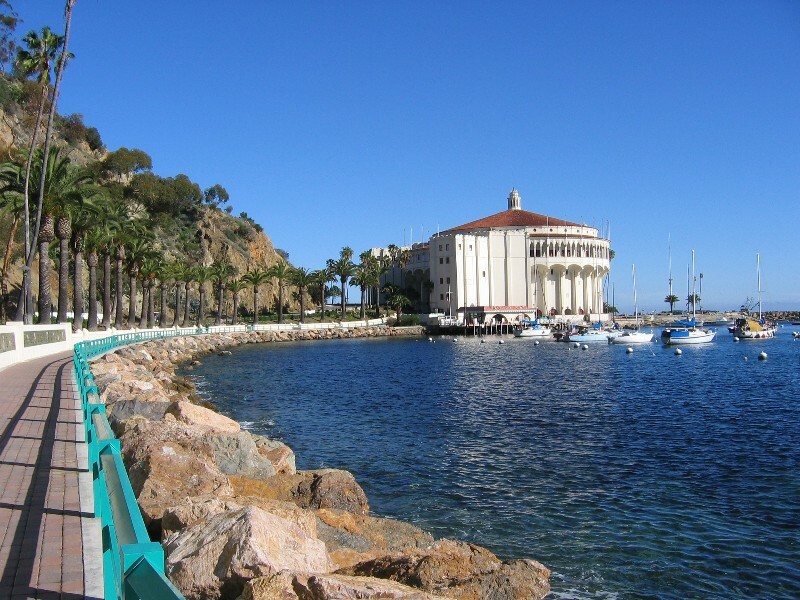 And yes, Friday seems to universally be considered part of the "weekend" on Catalina Island as far as most hotels and shops are concerned. As you can see, business is slow on weekdays. The picture below was taken our first day on Friday. They also have gear rental and snacks for purchase. We had all our own gear except for tanks and weights, so we never needed more than the van had to offer. Their web page has specifics on hours of operation and prices, which you should be sure to check, as it is and island and island time applies here, too. They weren't planning on opening for business on Friday until we arrived and kindly asked them to. There are bathrooms on site, however, there are no showers and no rinsing facilities (unless you are rinsing their rental gear). Lockers on site cost three quarters a pull and can fit a few tanks for a later night dive. I highly suggest buying a map of the dive park from Franko’s Maps either before you go, or from CDS at the Casino. We found it very helpful and useful for dive planning. We had surprisingly good visibility (I'm told what we experienced was just okay) given the surge and surf that met us at the bottom of the steps. This was our first dive in Southern California and we were instantly awed by the amount and variety of life and the abundance of kelp (this sentence works best when spoken with a Cousteau accent;). Interestingly enough, our main objective on this dive was to find the Jacques Cousteau commemorative plaque in 35 feet of water. The plaque was also the focus of a virtual cache. Isn’t it great when you can combine your hobbies?! (Jacques Cousteau cache). Highlights on this dive included: a very large bat ray and our first look at Garibaldi’s and of course, kelp, which can best be described as ethereal and surreal (again, with the Cousteau accent). We didn’t bring the camera on this maiden dive in order to minimize task loading. This time we brought the camera, but kelp forests proved to be a new and difficult environment to shoot in, so forgive the clarity of our photos. What can we say about this dive? Kelp, kelp, kelp, Garibaldi, kelp, Garibaldi, kelp bass, kelp, Garibaldi and a whole herd of blue banded goby. Kelp forest diving must be experienced to appreciate it, but it felt to us as if the Northeast and the Caribbean conspired to create this truly unique environment. 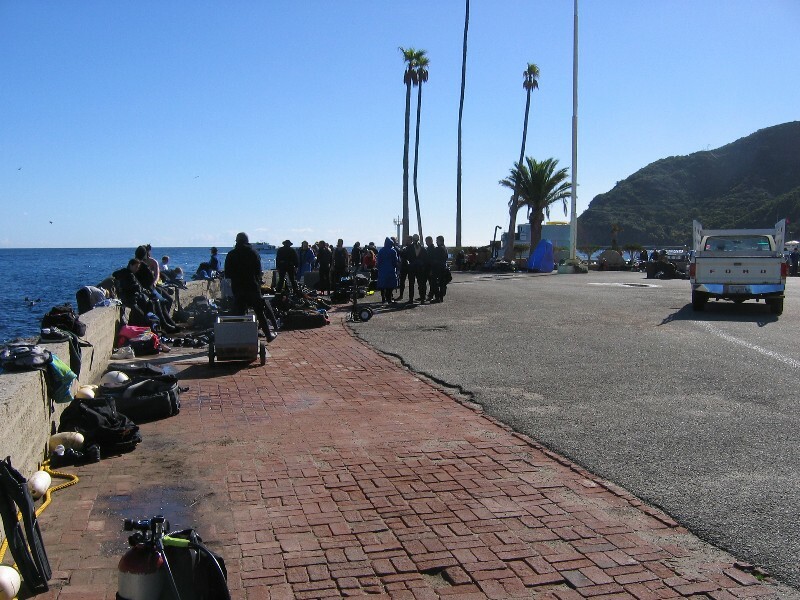 This breezy and sunny Saturday brought an army of divers and large classes from the mainland, conspiring to lower the visibility considerably. Nonetheless, despite the more than 150-200 divers in the park, we never felt crowded and always had plenty to see and explore underwater. Seastar, anemone, kelp bass, opal eye, sea cucumber, half moon, lingcod, sheephead, Garibaldi and sargo were present on almost every dive we did. Our main objective on this dive was to find the Kismet, a small sailboat wreck and the glass bottom boat in 66 feet of water followed by time spent in the shallows exploring rocky reef areas and more kelp. I believe the park has about 4 wrecks including one just outside the ropes. It was a good day to be diving dry as the surface interval proved to be breezy and chilly eventhough the sun was out in force. For our final dive we decided to start on the far left of the park and work our way to the right in the shallow area of the park known as Little Casino Reef, my favorite section. Right after we submerged a cormorant dove right in front of Becky and was gone in a flash! We watched one the day before during our SI and Becky mentioned she would like to see one on a dive. She got her wish! All of the previously mentioned creatures were spotted as well as the old steel pier remnants, boat engines and, of course, more kelp! 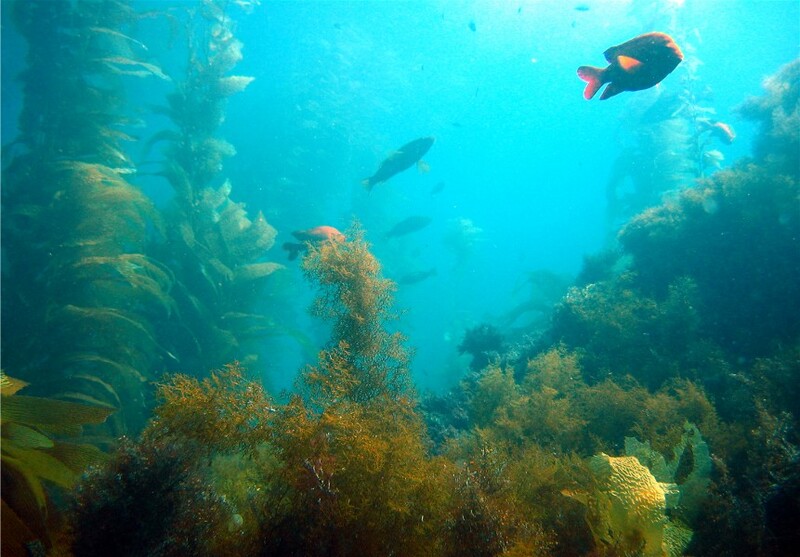 Diving in kelp was a lifetime SCUBA goal for both of us. 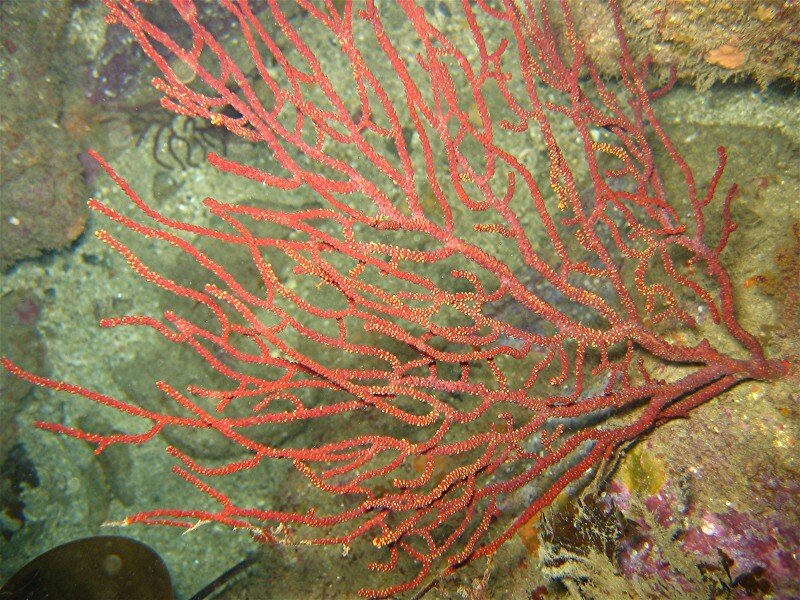 It did take us all 4 dives before we really felt comfortable maneuvering around the dense growth. All in all, diving the Casino Point Park was more colorful and vibrant than we thought it would be. We can't wait to go back. 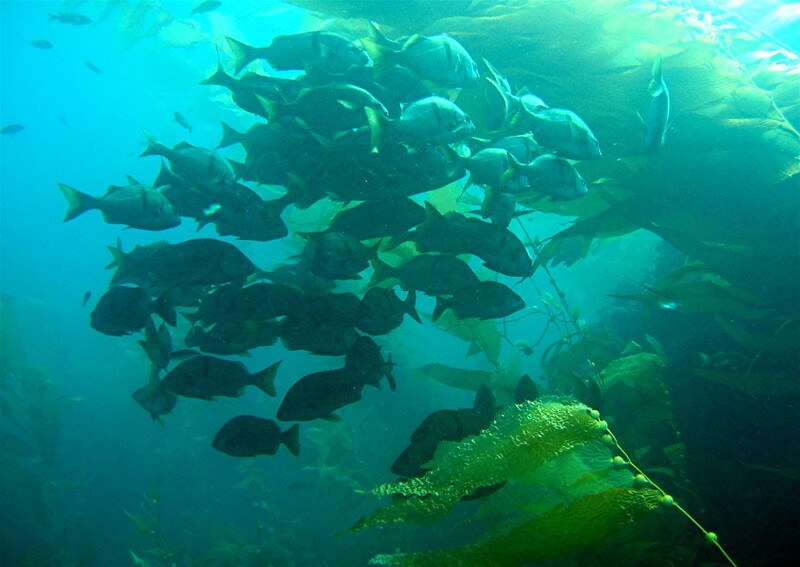 One of our favorite memories is of the kelp gently bowing in the current. It’s a truly magical environment, if you get the chance you should not pass it up!